[Music] B.Jay ft RapperSheggs "Bad Vibe(Stay Away)"
Have you been played, betrayed by people you good to? Or you probably been repaid bad for the good you did to people.. if yes then this song is for you. 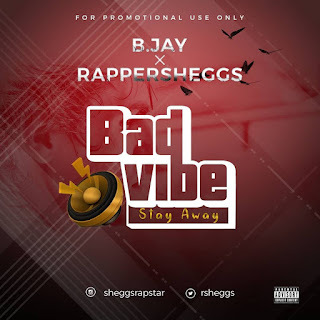 Mobolaji popularly known as B.Jay making is music debut is featuring Rapper Sheggs on this cool viby song. May God let all negative and bad vibes stay away from us all. Hit the download button if you want bad vibes to stay away from you..